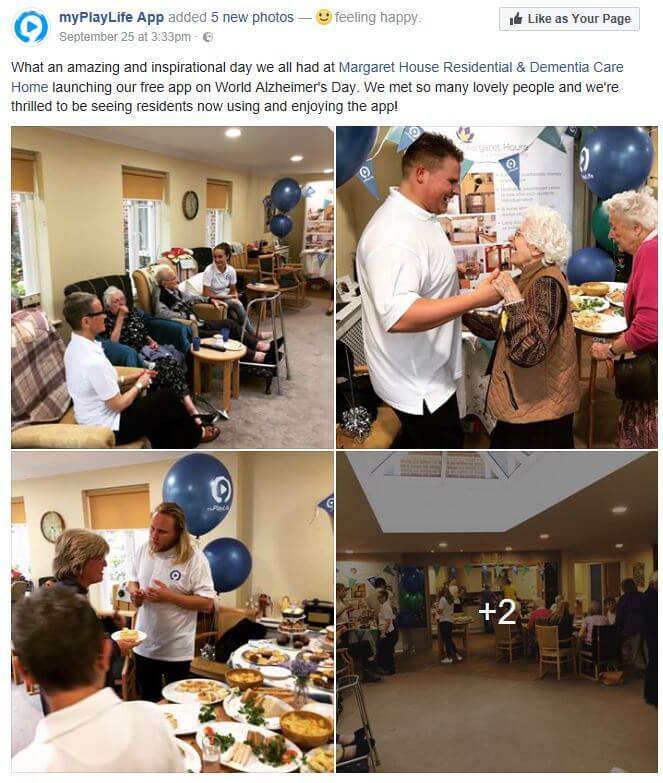 We had a fabulous afternoon with the team from myPlaylife, when they chose to launch their new free app at Margaret House to coincide with World Alzheimers Day. Relatives joined us earlier in the afternoon to be shown how to download and use the app, which allows them to share photos, comments and memories with their loved one in a secure and simple to use environment. Then we had a lovely ˜launch celebration’ tea. Lea-Ann will be using the tablet to go through with each resident the messages and pictures that have been posted for them. 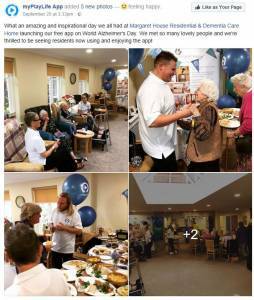 It is another great way for residents at Margaret House to keep in touch with family and friends..